Fiji’s Chinese community has enriched Fiji’s culture and helped develop our economy says Minister for Industry, Trade, Tourism Faiyaz Koya. “Through their resourcefulness and diligence, our Chinese community in Fiji has produced a succession of leaders in business, medicine, education, and a wide range of other sectors,” Mr Koya said. 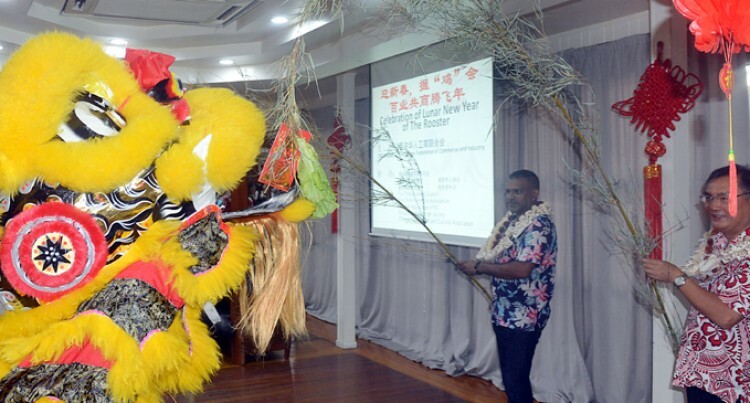 Mr Koya made the remarks during the Chinese New Celebrations at the Southern Cross Hotel in Suva, yesterday. “As Fijians, our cultural diversity is an important source of our strength,” the minister said. Mr Zhang said the Chinese community looked forward to deepening the strategic partnership with Fiji. Mr Koya said Fiji will continue to welcome substantial investments from China as China was the number one source of foreign direct investments. “In 2015, 41 per cent of total investment projects registered in Fiji were Chinese projects, while in the first six months of 2016, figures reveal that 45 per cent of projects registered with Investment Fiji were from China,” he said. “In terms of absolute figures, in 2015, projects worth F $191 million was registered in Fiji of which projects worth F $64 million got implemented. “Total investments in Fiji has been on an upward trajectory and continues to contribute 25 per cent and above towards the Fijian GDP. “It is even more promising to note that private investments are increasingly becoming the key contributor to total investments. Mr Koya said with the widespread incentives and initiatives that the Fijian Government had in place, a large portion of foreign investments had been in the tourism and hospitality sector. M Koya also highlighted there was an increase in number of visitors coming to Fiji from China. The Minister also said China was the biggest source of Foreign Direct Investment currently in Fiji. He urged the Chinese community to seize the opportunity and join the many investors who had previously profited. Mr Koya said with the launch of the online single window clearance system for foreign investors was available. “Investment Fiji, in its presentation later today will provide you with hands-on information on how this revolutionary system operates,” he said.